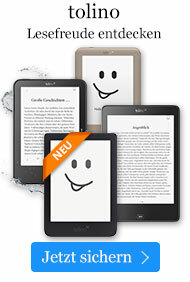 Buch € 36,90* inkl. MwSt. Whether in the street or the microcosm of the home, the life of things conjoins human subjects and inanimate objects. Engaging a great range of American literature-from Harriet Beecher Stowe and Edith Wharton to Vladimir Nabokov and Jonathan Franzen-the book illuminates scenes of animation that disclose the aesthetic, affective, and ethical dimensions of our entanglement with the material world. »Babette Tischleder's readings of texts are no less fresh and forceful than the topics those texts bring into focus: object agency, obsolescence, patina, and (magnificently) the recalcitrance of things. The book is a timely and important contribution to American Studies and to Object Studies both.« Bill Brown, author of »A Sense of Things: The Object Matter of American Literature« Ob als Gefährten, Alter Egos oder Gegenspieler von Romanfiguren - die Welt der Dinge spielt in der amerikanischen Literatur eine wichtige Rolle. In Lektüren unterschiedlicher literarischer Prosatexte und ihrer historischen Kontexte zeigt Babette Bärbel Tischleder, wie Autorinnen und Autoren von Harriet Beecher Stowe bis Jonathan Franzen materielle Objekte sprachlich in Szene setzen. Ihre Diskussion neuerer theoretischer Ansätze zu Materialität und Dinglichkeit leistet einen wichtigen Beitrag zum »material turn« in den Geisteswissenschaften. Objects are no longer dead. In current critical thought, the material world is gaining much attention, and inanimate matter is seen to possess agency and vitality to be alive with potential, ontological defiance, and vibrant force. While this renewed focus on questions of materiality in the humanities and the social sciences is a rather recent phenomenon, variously designated as the material turn or the new materialisms, the object world has long played a vital role in the American literary imagination. Because narrative fiction depicts human subjects in the concrete circumstances of everyday life, it is a medium that grants us particular access to a material world that can become fully animate. The worlds conjured up in and by narrative are usually configured as a tangible universe. Be it the built environment of a city, a natural habitat, or the microcosm of the home, material life is depicted as the coexistence of human subjects and inanimate objects. My book shares the current interest in questions of material culture, objecthood, and thingness that W.J.T. Mitchell observes in a number of academic fields from sociology and political science to literary and cultural studies. Like other new materialist studies, The Literary Life of Things seeks to go beyond the more traditional materialisms inspired by Marx (which remain largely focused on political economy and class relations). It does so in two ways: first, by engaging with the concrete material situations and physical forces that impact and mold human lives, and, second, by spotlighting the cultural, ecological, psychological, affective, perceptive, and aesthetic dimensions of how people relate to inanimate objects and envision these relations. Setting out from these premises, as well as from the observation that objects have a much-neglected life in fiction, my book focuses on making visible scenes of animation in different literary-material settings. It asks how people s lives are propelled by a dynamics of objects how human aspirations, fantasies, practices, memories, and self-concepts engage the object world in essential ways. Rereading both canonical and lesser-known texts of nineteenth- and twentieth-century American fiction, I explore what I call the material imaginary the various ways in which literary texts invite us to imagine physical objects in active roles that enable and shape people s actions, social relations, self-fashioning, emotional states, and moral or cultural orientations, as well as the texts own narrative and aesthetic expressions. It seems a bold claim to say that inanimate things have lives when it is generally understood that they constitute the realm of the inanimate, the inert, the passive backdrop of human action. This book sets out to challenge the common idea of the object world s inertia and lifelessness, and explores how, in American fiction and cultural history, objects are animated in numerous ways. Literary texts encourage us to see our practical, emotional, and imaginary engagement with the nonhuman environment in modes that resist any clear-cut distinction of subjects and objects, the physical and the metaphysical, the animate and the inanimate. The notion of the life of things, then, whether social, cultural, psychological, or plainly physical is premised on the recognition that human lives are enmeshed in matter and that we have to account for the agency and vibrancy of physical stuff, whether trees, clouds, toys, or elevators. Taking things seriously means to recognize the liveliness that resides in matter itself, that which Jane Bennett calls vital materiality the capacity of things edibles, commodities, storms, metals not only to impede or block the will and designs of humans but also to act as quasi agents or forces with trajectories, propensities, or tendencies of their own. The awareness that matter is active and potent and has a vitality of its own also informs the material imaginary of the fictional works I consider. This vitality has compelled me to take issue with the familiar distinctions between the organic and the inorganic, the mortal and the immortal, living beings and inanimate stuff. The question of how things are imagined to assume different forms of life in a literary context (and beyond) informs the methodology of this book. Of course, life itself is a complex term that does not only denote the biological quality or condition of animate existence, which distinguishes a living organism from dead matter and would allow us to neatly divide animals, plants, and people, on the one hand, and pebbles, computers, and plastic bags, on the other. Even the first definition the OED gives for life includes capacities reproduction, adaptation to the environment, and response to stimulation which are not restricted to organic life, but describe mechanical and industrial production, technical artifacts, and digital technologies as well: chromolithography (mechanical reproduction), shock absorbers (adaptation to the road), thermometers or cell phones (chemical and electronic sensitivity to stimulation) are obvious examples. Imagine a world without things. It would be not so much an empty world as a blurry, frictionless one: no sharp outlines would separate one part of the uniform plenum from another; there would be no resistance against which to stub a toe or test a theory or struggle stalwartly. Nor would there be anything to describe, or to explain, remark on, interpret or complain about just a kind of porridgy oneness. On a mundane level, then, physical objects give our lives substance and orientation. They shape our perceptions, give us food for thought and experimentation, and help us understand ourselves in everyday life, in science, and in the literary imagination. The recalcitrance of matter, the mishaps and unexpected encounters we have with stubborn things help to secure our sense of being in the world and remind us of our own physicality. In addition to these spatial characteristics, the dimension of time is also crucial for understanding inanimate life. It is with reference to duration that the OED defines another usage of the term life that explicitly includes objects: The term of duration of an inanimate thing; the time that a manufactured object lasts or is usable (10.a.). We are used to thinking about commodities in terms of life cycles, and the time between an object s fabrication and obsolescence or disposal is seen to correspond to an individual person s lifespan: the period from birth to death (8.a.). While the life expectancy of digital devices or fashion items often doesn t exceed a few years, other, more durable things have much longer lives, either as a person s valued possessions (heirlooms, jewelry), or because they circulate through many different hands. In any case, the lifespan of objects depends on the uses to which they are put and the changing values attributed to them. This social context, rather than inherent properties, largely determines what Igor Kopytoff has called the biography of a thing, and which is discussed as the social life of things in the field anthropology. I will show that both the notion of duration and the biographical perspective are very useful for understanding the life of things in literature; the latter takes shape when objects are exchanged, passed on, and endowed with meaning and sentimental value by their possessors over the course of time. There is yet another way in which individual objects (rather than matter in general) come to be perceived as animate or alive: they can convey a sense of vitality or energy. . . . in action, thought, or expression (OED, 6.a. ); they can even become models of liveliness. A popular example can illustrate this point: the Energizer Bunny, the pink toy rabbit wearing sunglasses and flip-flops, which kept moving and beating its drum through countless television commercials in the 1980s and 90s, is not merely a commercial icon promising and indeed embodying the long life of batteries, but it is also alive in the popular imagination and has entered common parlance as an expression for tireless activity. It even entered the OED, which defines it as a persistent or indefatigable person or phenomenon. The mechanical, motor-driven movement of the toy bunny never tried to imitate the natural grace of a living rabbit. Yet the toy has come to signify a human trait of life: the capacity to keep going that characterizes people with extraordinary energy and endurance. This example demonstrates that our sense of vitality or liveliness is not restricted to activities performed by humans or animals, but that it extends to inanimate objects that are alive with motion, energy, or vivid expression. Moreover, if physical or chemical energy is conceived of as a life-defining property, batteries are indeed a vitalizing force: they give life to appliances and gadgets that shape our daily routines from simple alarm clocks to tablet computers. The aspects of inanimate life addressed thus far the physical environment that constitutes our Lebenswelt and conditions our grasp of that world, the lifespan of things that converge with human biographies, and the capacity of devices to perform work and radiate with energy represent only the most mundane ways in which ordinary objects are seen as being alive. What has been left out of the picture so far are the psychological and symbolic dimensions of the relations humans have with objects. Literary texts in particular reflect the intimate entanglement between people and things. They show how essentially people s psychic life and self-understanding rely on the object world in general, and on individual things in particular. Material artifacts become the nodal points of human stories and serve as both objects and expressions of people s desires, anxieties, anger, and longings. As toys, tools, cherished possessions, souvenirs, gifts, commodities, relics, or junk just to name a few modes of thingly life they take on very different roles: they foster personal development, individual and collective memory, religious faith, social distinction, cultural tastes and belonging, emotional and symbolic investments. Moreover, artifacts are the products of human design, creativity, and labor. As such they are alive with our ideas and visions, calculations and efforts. Both physically and metaphysically, then, objects are an integral part of human life, of everyday practices and structures of feeling. What is more, they become the trash that is left behind when we no longer care the remnants of life that tell their own story about our cultural values and civilization. Object studies and thing theory usually approach the complex interactions between people and things from specific disciplinary perspectives: Anthropological studies consider how the traffic in things their ritual exchange as gifts or their circulation as commodities constitutes a politics of value and maintains social ties. Sociology investigates how objects figure in people s everyday practices, how they are integrated in their habitus. Psychology is interested in the function of transitional objects for the development of children, the affective significance of personal possessions, and the psychic functions of collecting. Philosophy is concerned with the subject/object dialectic, the distinction between objects and things, and the epistemological question of how material phenomena come to be represented in thought. Material culture studies explore artifacts as expressions of a particular regional culture, historical period, or national character. Archeologists try to reconstruct vanished forms of human life from its material remnants. Social studies of technology consider the agency of nonhuman objects in relation to human actors. While all of these approaches offer valuable concepts for the study of literature, none of the disciplinary approaches alone can account for the complex ways in which literary texts envision relations between human characters and the material world. The aesthetic experience of fictional texts allows readers to imagine the mutual lives of people and things through an engagement with the idiosyncratic perspectives, affective bonds, and concrete practices that constitute the characters world and their interactions with one another. Before I address the specific texts that I analyze in this book, I want to give an account of the most relevant theories that have informed my critical practices.